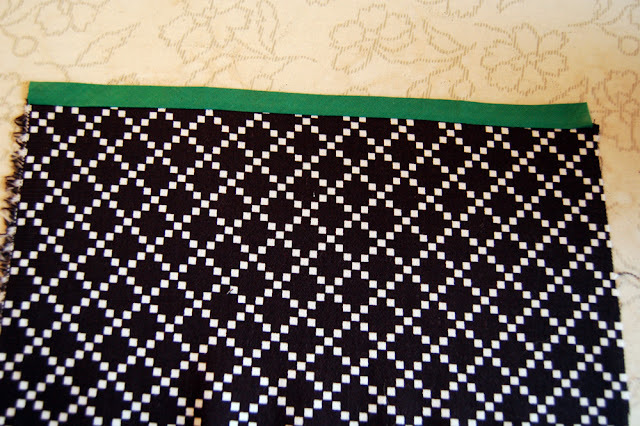 As promised, a tutorial for the tablecloth featured in this post! 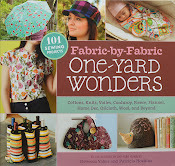 Most cloths you'll find in stores are just one big circle of fabric. 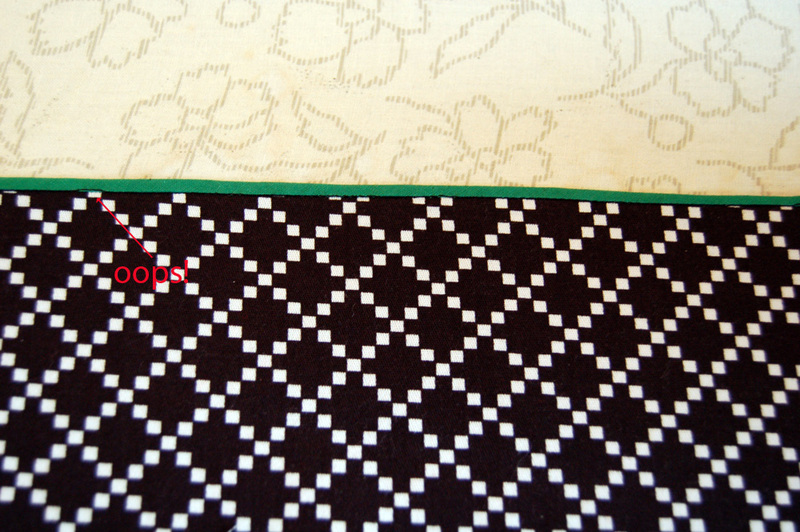 This one is slightly different, as the drop (the part that hangs off of the side of the table) is cut out and then stitched to the top. This makes for a much more fitted look. 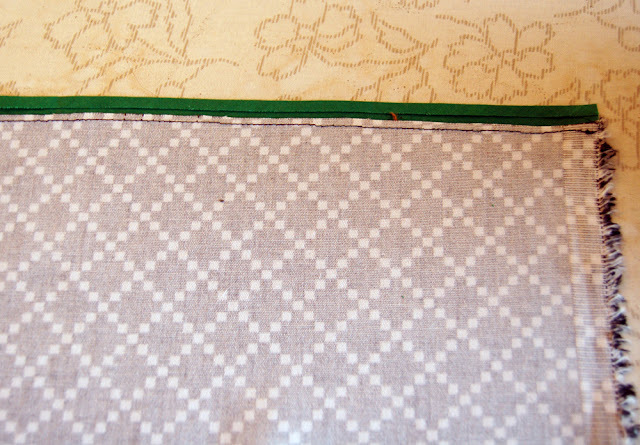 I think it keeps the tablecloth in place a little bit better, too. My table is about 40" across, but this project is customizable to different sizes, whether it be for a dining table, side table, etc. My nightstand is round, and I'm itching to make a smaller version to cover it! 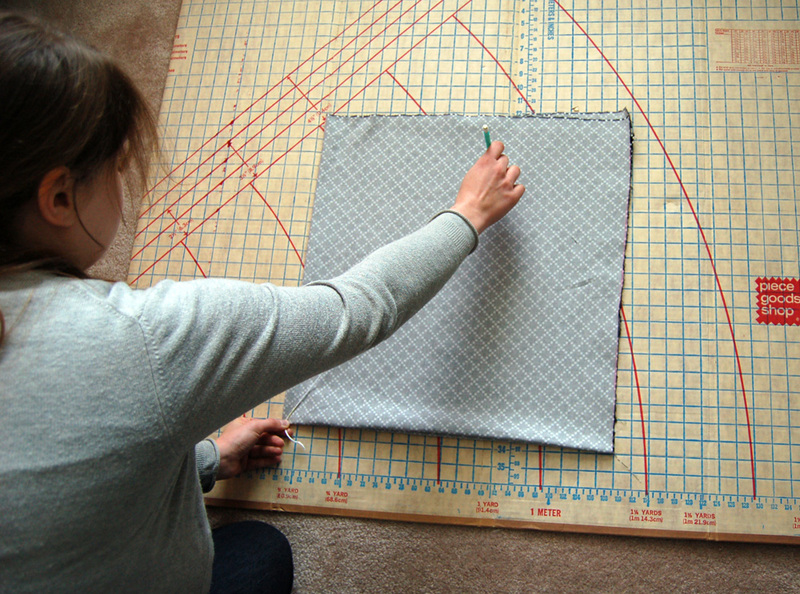 First you need to measure how wide your table is and then add 1". 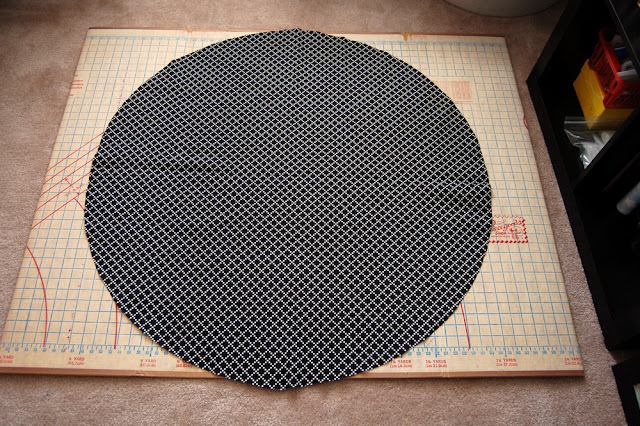 My table is 40" across, so the measurement I will need for the next step is 41". Take the measurement you came up with and cut a square from your fabric. My square is 41" by 41". Use your pencil and string to make a compass. Just tie the string to the pencil. That's it! You can use a chalk pencil if regular pencil marks won't show up on your fabric. 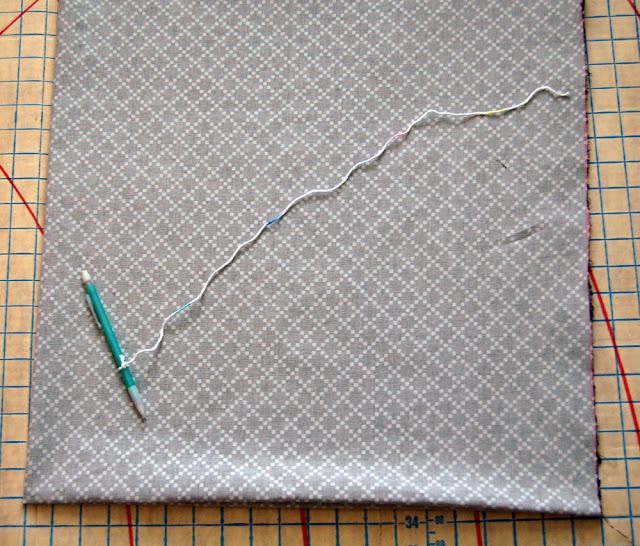 Now, while continuing to hold tightly onto the string in the lower left corner, begin moving your pencil and drawing an arch toward the opposite (lower right) corner. Done! I wish I had thought to use a pencil that would leave dark enough marks to show up in my photos. Basically, you should have drawn a perfect arch from the upper left hand corner down to the lower right hand corner. I hope you get the idea. A circle! It's like magic. Now it's time to work on the drop. 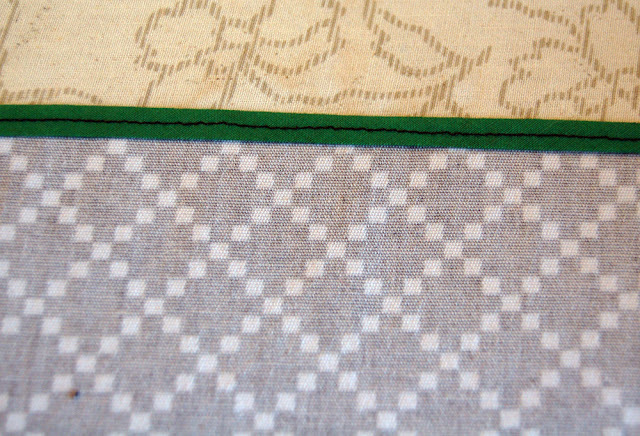 I like the edge of a tablecloth to *almost* touch the seat of the chairs. 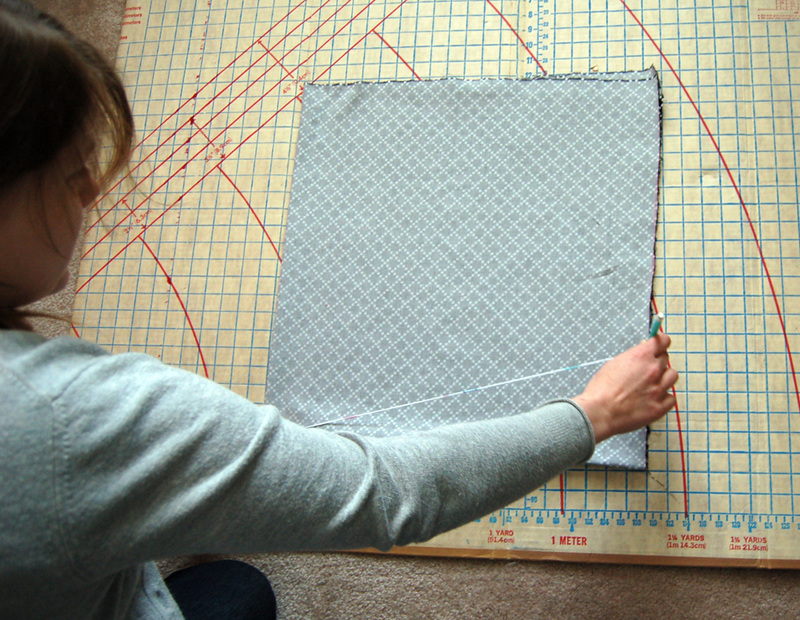 Once you've decided how long of a drop you'd like, you can cut strips from your fabric. I made my strips 10" high and 45" wide. I managed to get by with 3. 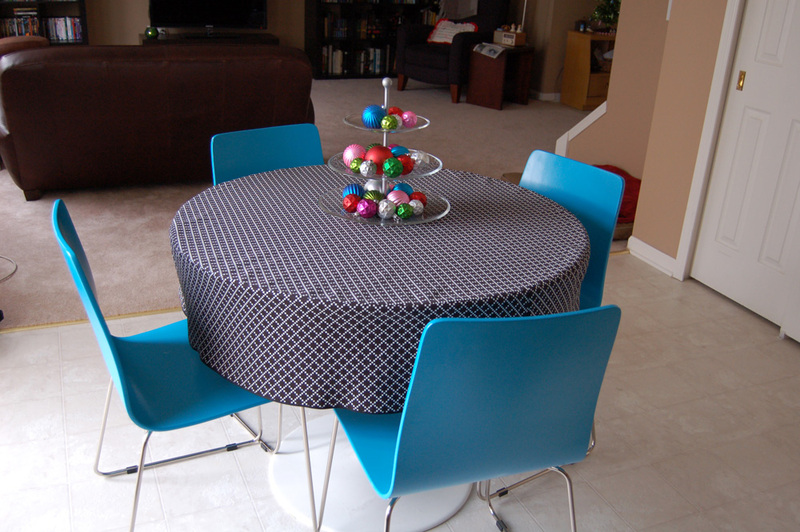 You may need more or less depending on the size of your table. A little hard to photograph, but that should give you an idea. 1 long strip. 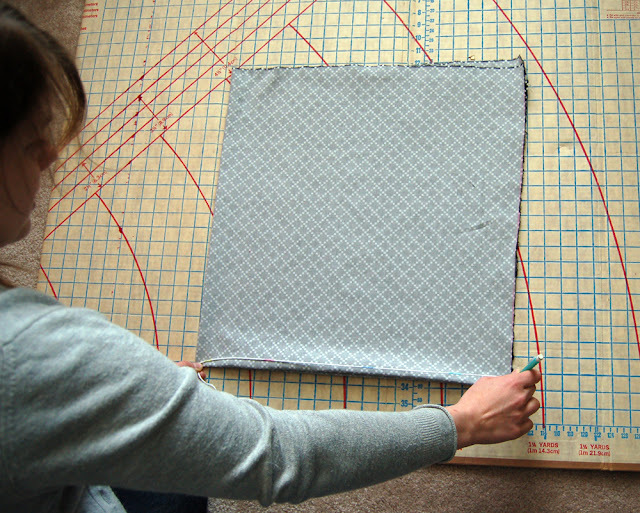 It's time to pin the long strip to the circle. Take your time, and use as many pins as you like. I won't judge. 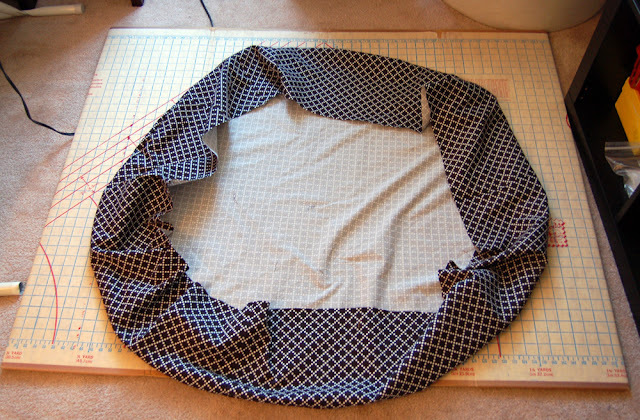 Attaching a straight piece of fabric to a circular piece can sometimes be a pain in the rear. Don't forget, right sides of the fabric together. 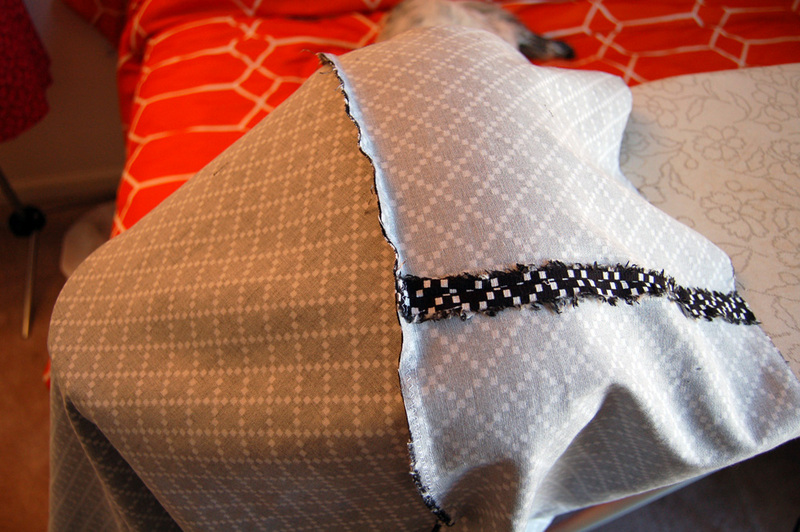 1/4" seam allowance. 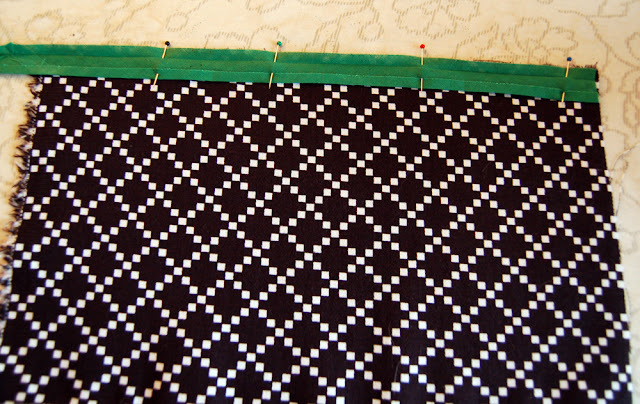 When you are ready to sew, don't start stitching at the very end of the strip. 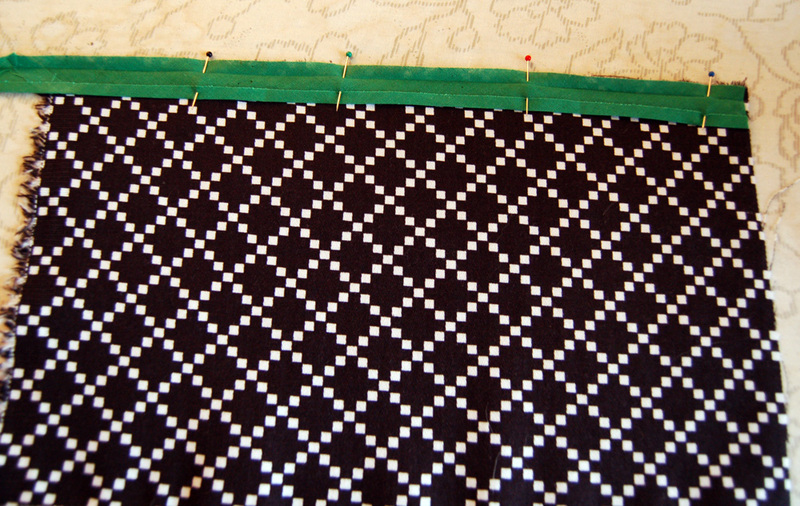 Do the same when you reach the other end of the strip; stop your stitching before you reach the end of the strip. This gives you a little bit of room to work with when you need to join the 2 ends. 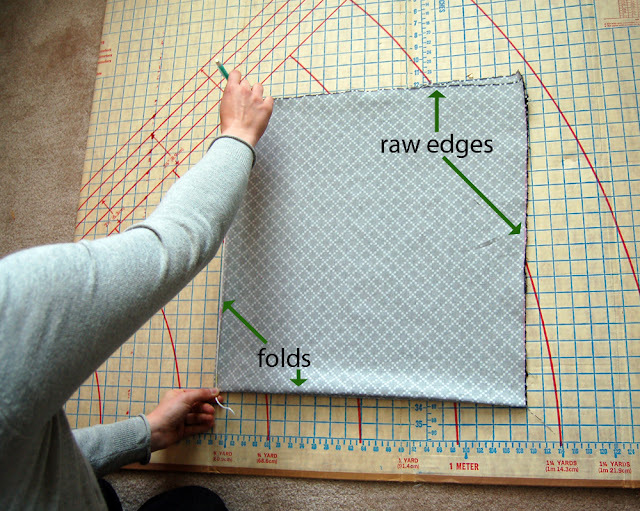 Figure out whether or not you have excess fabric on the short (10") ends of your drop. If you do, trim it away and stitch the ends together. If you end up with a gap, cut out another piece of fabric (10" by however much you need to fill the space) and use it to fill the gap. 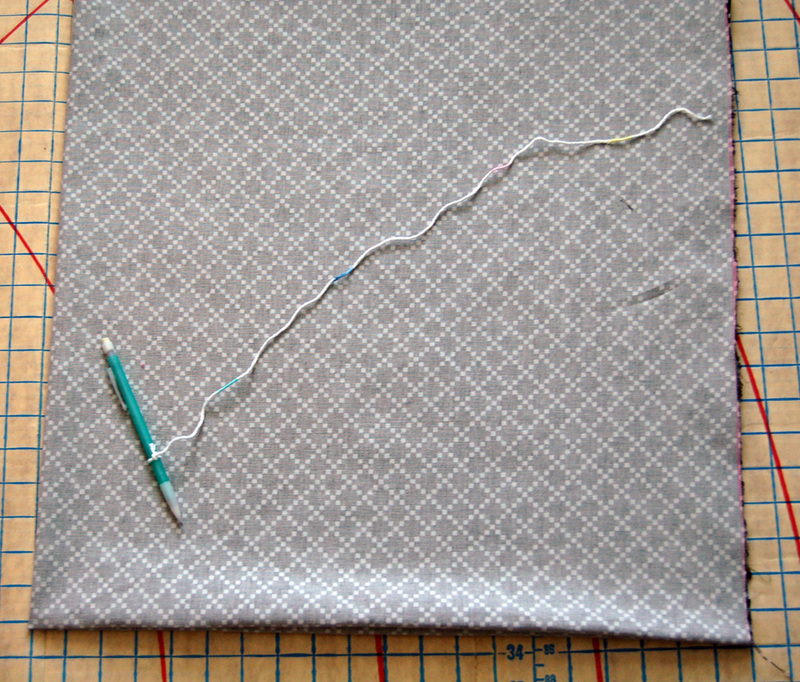 Once you have the ends of the trip stitched together, finish stitching the drop to the circle. 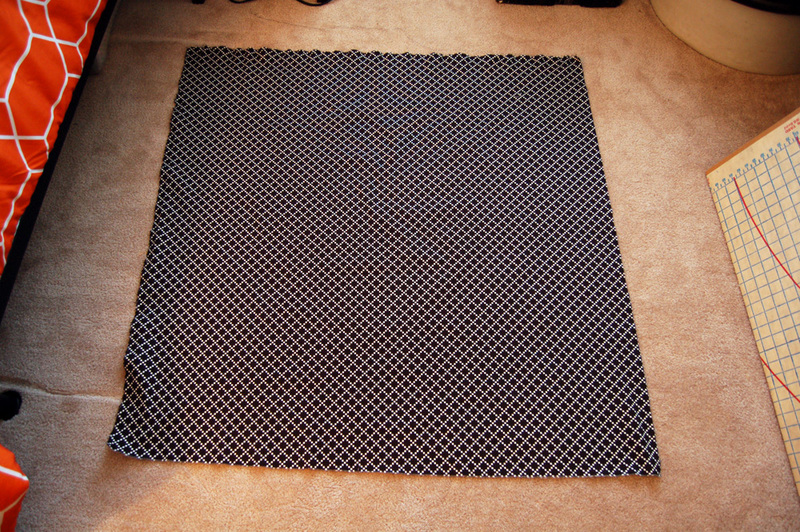 It's almost a tablecloth! The rest of the work is just finishing to make it look nice. 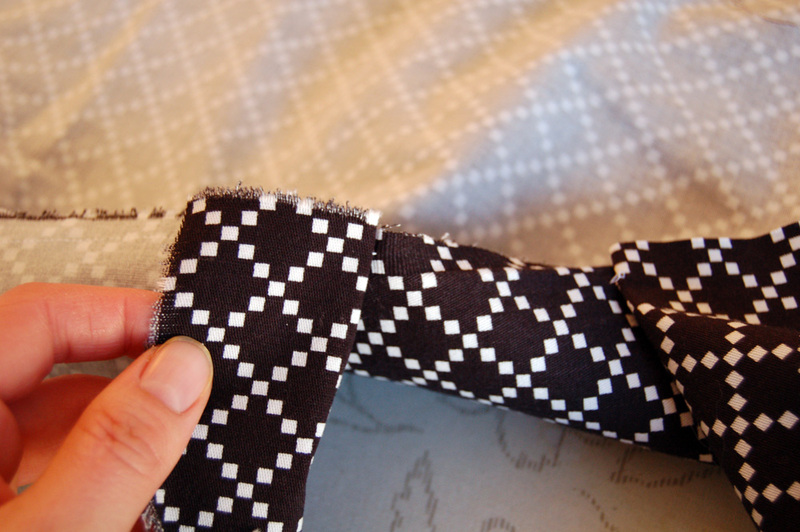 If you're worried about fraying at the seam where the drop is stitched to the circle/top, go ahead and finish it with a narrow zig-zag stitch. 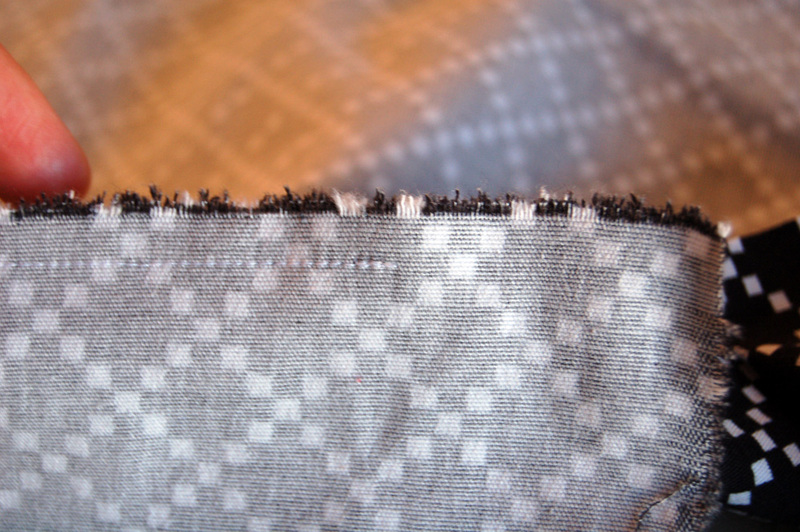 I am always worried about fraying, so I did just that. 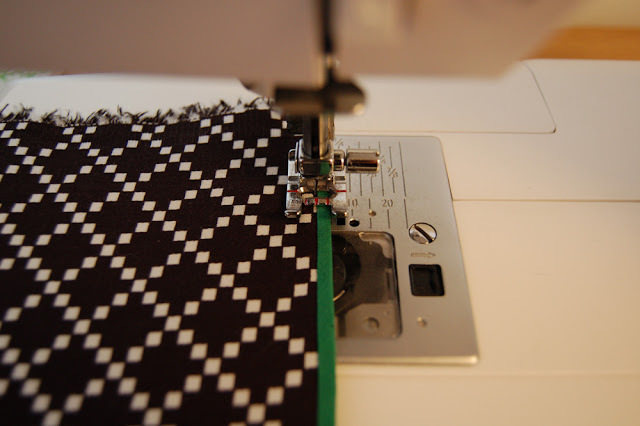 No need to press the seam open. 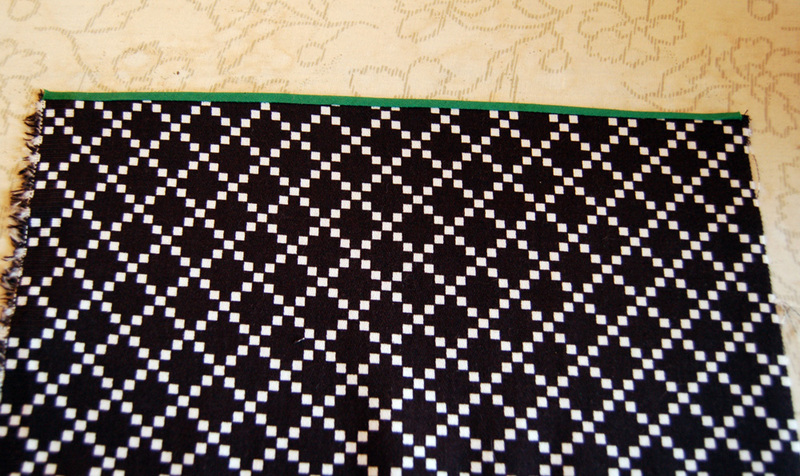 Just zig zag the two halves together. Time to press. I've probably mentioned this before, but pressing is a big part of sewing. It makes for a much nicer result. 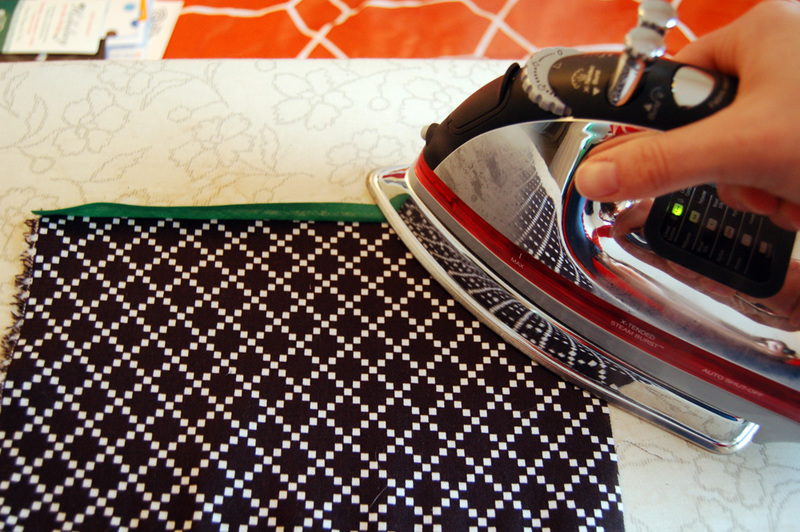 Make friends with your iron! 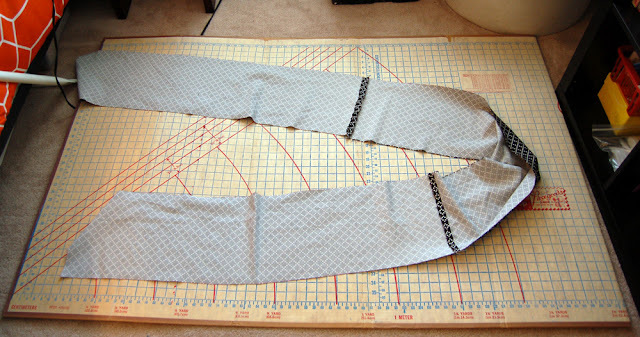 right side down, drape the tablecloth over the ironing board, placing the seam on the tailor's ham. Press the seam toward the drop. 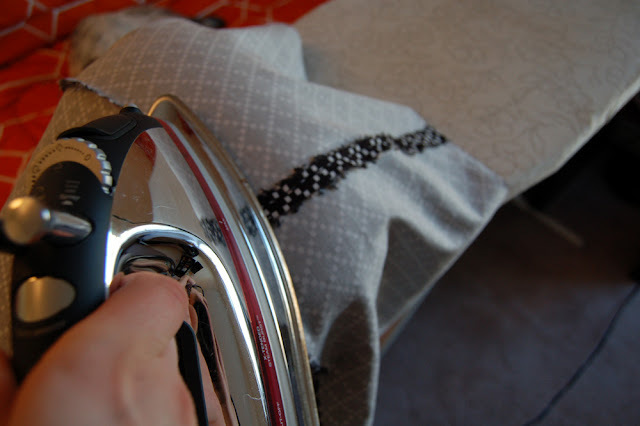 FYI, it's very difficult to hold a camera in your left hand and try to snap a photo while you're holding an iron in your right hand. Now flip your tablecloth over (wrong side of the fabric down), and press the seam again. 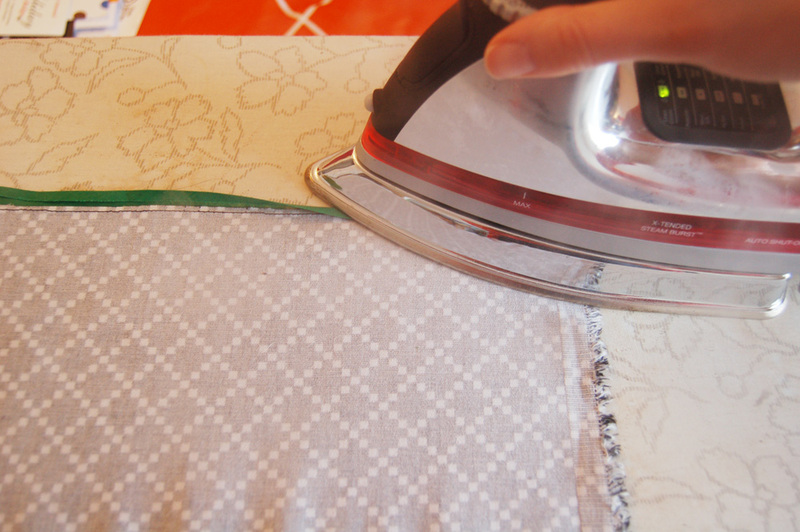 I told you to make friends with your iron! Pressing the seam for a second time on the outside will make your tablecloth look so much nicer when it's done. 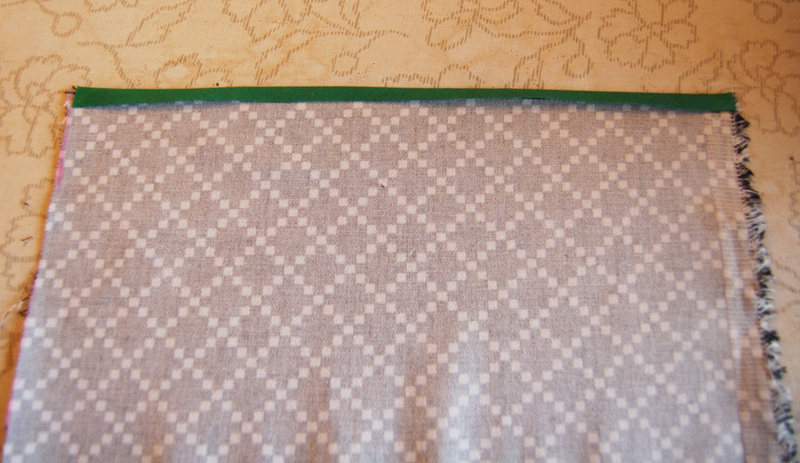 Now that the pressing is done, you can finish the raw edge of the drop. 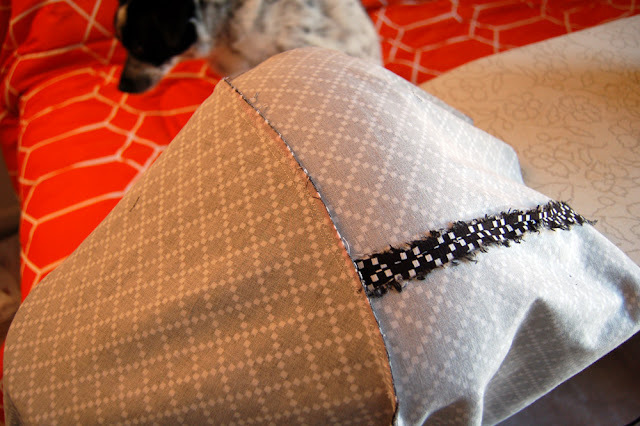 You couldjust turn up the edge of the fabric and create a narrow hem, but I like this simple bias tape finish. 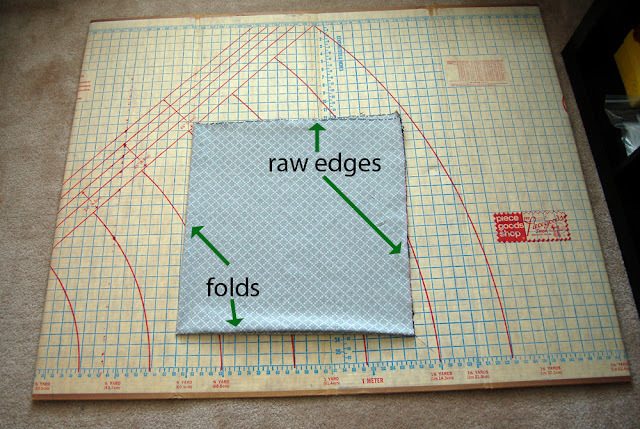 Very easy to do, and results in a nice, clean edge! 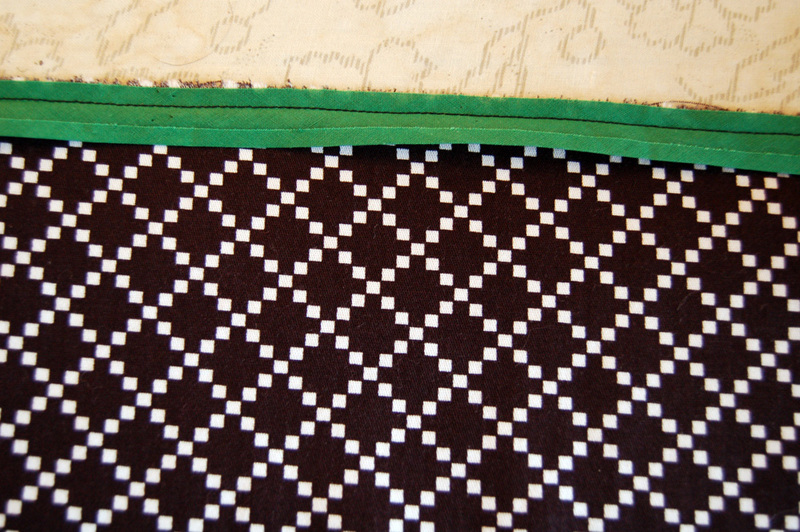 I used a scrap of fabric and green bias tape for these photos, because the green showed up a little better. I used black bias tape for my actual tablecloth. Lay your bias tape face down on the ironing board. Press one side open and leave the other side folded. Yikes. 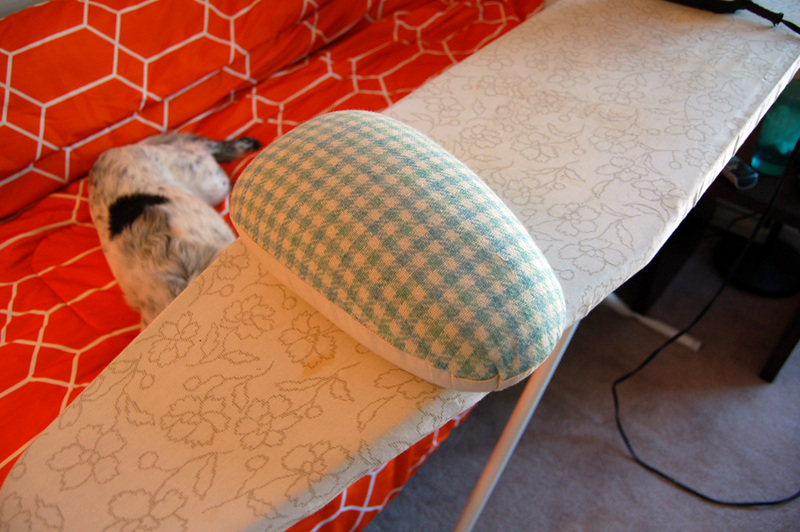 Guess I need to ask for a new ironing board cover for Christmas. 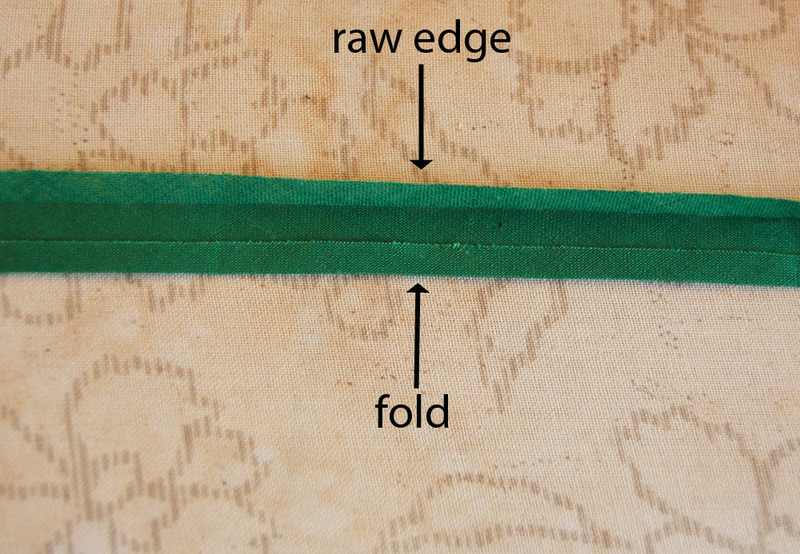 With the right side of the bias tape against the right side of your fabric, line up the raw edge of your bias tape with the raw edge of your fabric (where you'd normally press up the fabric and hem) and pin. 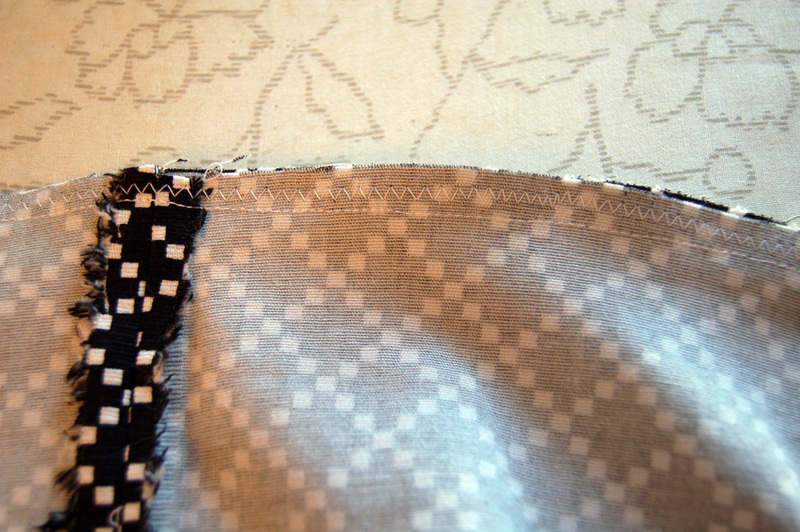 Stitch along the old fold that you pressed out. Sorry about the weird angle. 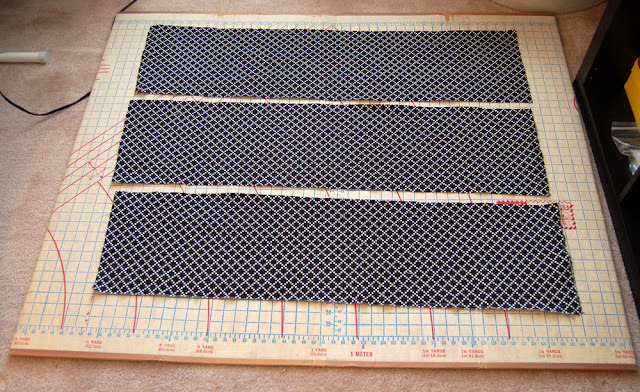 This was another instance in which I held the camera and snapped a photo with my left hand while I held the scissors with my right. 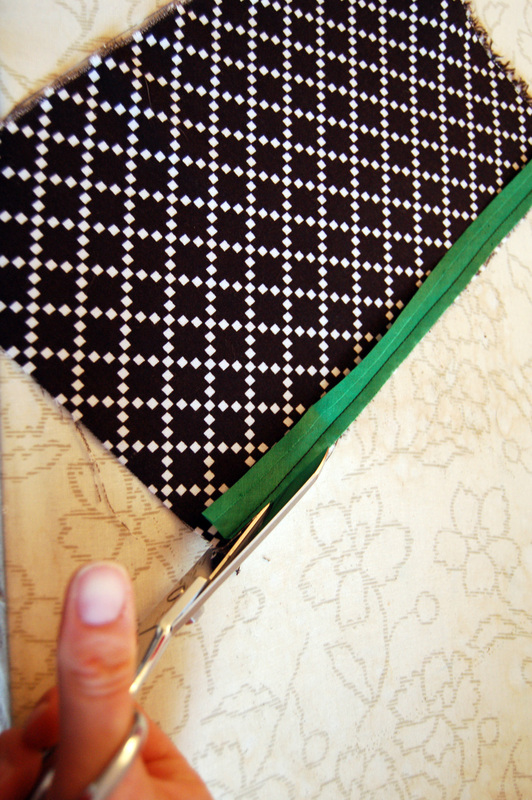 Press the bias tape away from the fabric. Now you're going to press the bias tape to the wrong side of your fabric, over the seam you stitched and trimmed earlier. It should look like this on the inside when you're done pressing. There should be a nice, clean edge on the outside with just the tiniest bit of bias tape showing. Here's what your finished edge should look like. 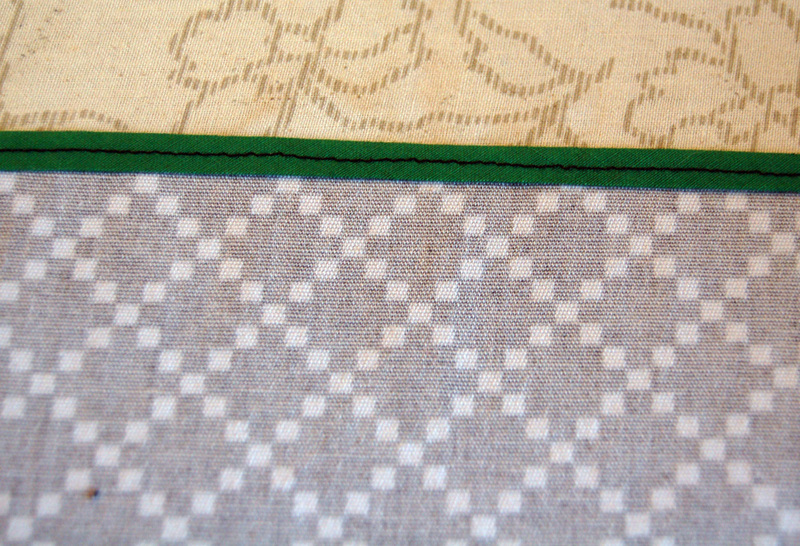 You can see a little spot where I got out of line on my stitching. That's it! 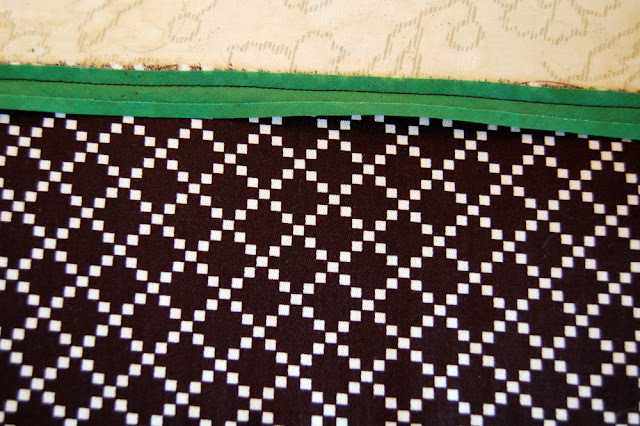 You now have a gorgeous cloth to cover your table. 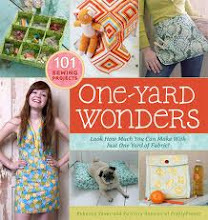 Make a new one for each holiday!